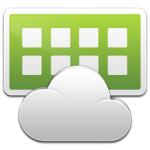 One of the novelties that are available in the new Horizon View 5.3 is available as add on the workstation add-direct-connect. 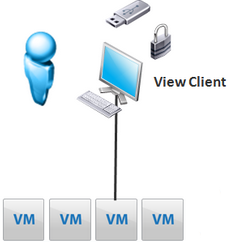 As the name suggests, allows a direct connection to the client view to the virtual machine. The connection can be made ​​using ordinary (defined as “installed” somewhere) client or using Thin client (in kiosk mode). Addition counts suddenly about 300kb (next to nothing), during the installation you have to enter the port on which it will listen (default is proposing 443). Configuration itself is really trivial (but apparently requires editing the Windows registry), unless we issue the machine to the world ( in this interesting video on the subject), it is sufficient to install the additive itself! The connection to the machine is encrypted, of course, the plugin generates a default self-signed certificate, but if we have our own CA, you obviously prepare their own, the whole procedure is the same as for View Connection Server (certificate must have a “friendly” name vdm).